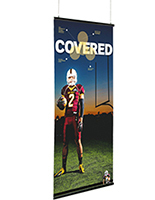 Our banner display, such as an exhibit display or retail display, gives an upscale look when compared to plain plastic models. 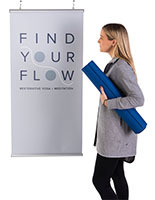 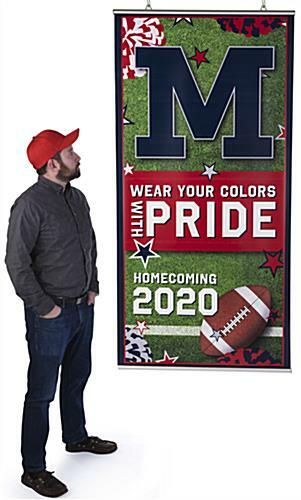 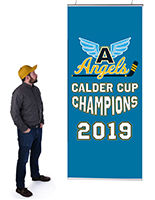 This banner display will dress-up your environment with its satin aluminum finish. 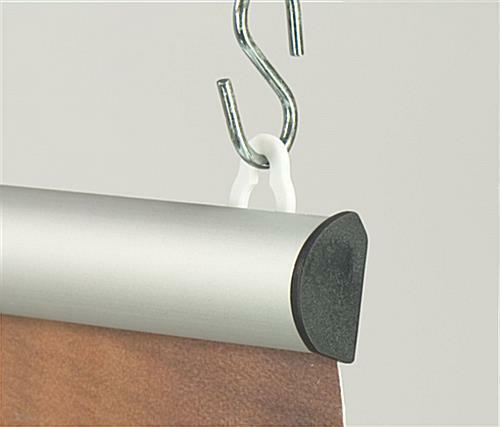 We offer this poster holder and other banner rails for sale. 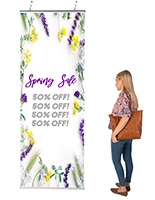 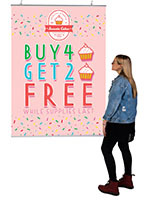 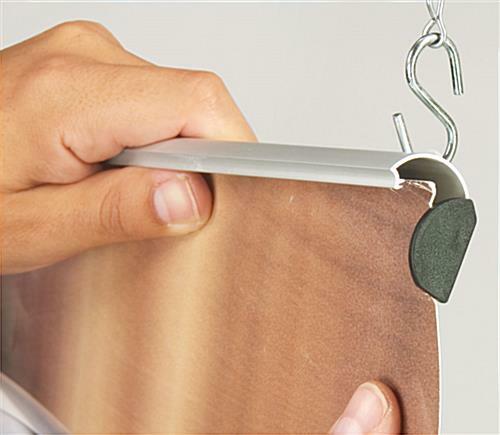 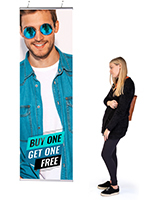 Gain more advertising space with this banner holder, available for you to buy now!